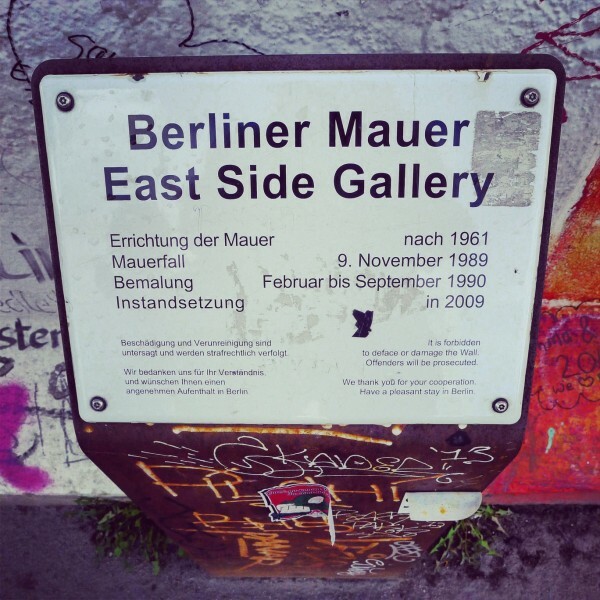 You are currently browsing the archives for the tag 'berlin'. Marcell Pustul, the mastermind behind the young label MARCELL VON BERLIN, studied fashion design at the famous Parsons School in New York City and gathered professional experience at Michael Kors and Donna Karan. 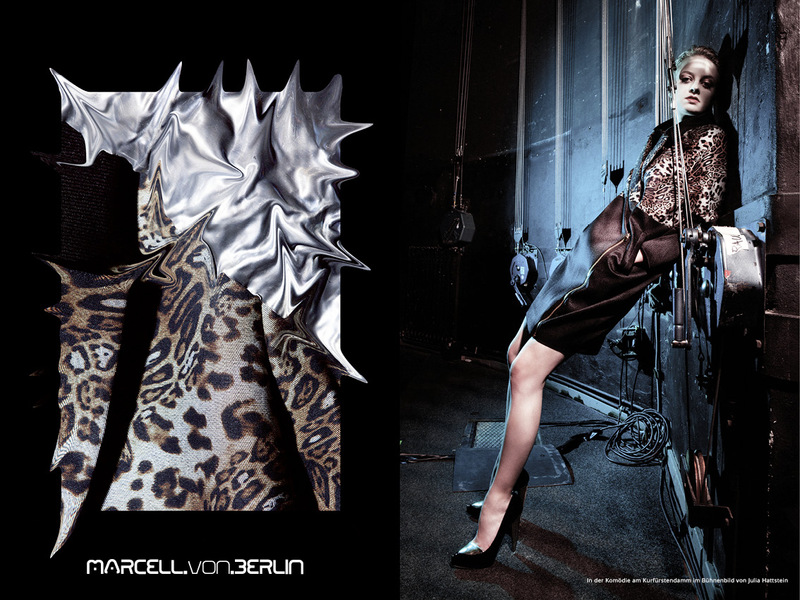 In 2011, he founded his own label that brings red carpet looks and couture from the capital of cool, BERLIN. 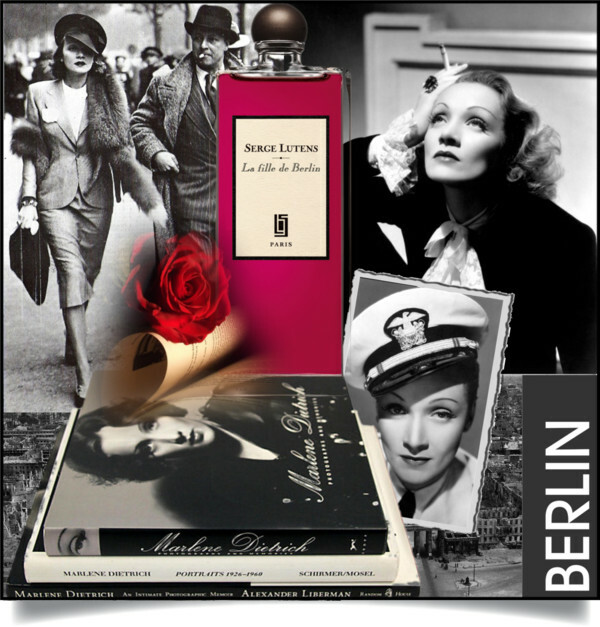 Enjoy his tips for the famous German metropole. BERLIN – A city that never sleeps. 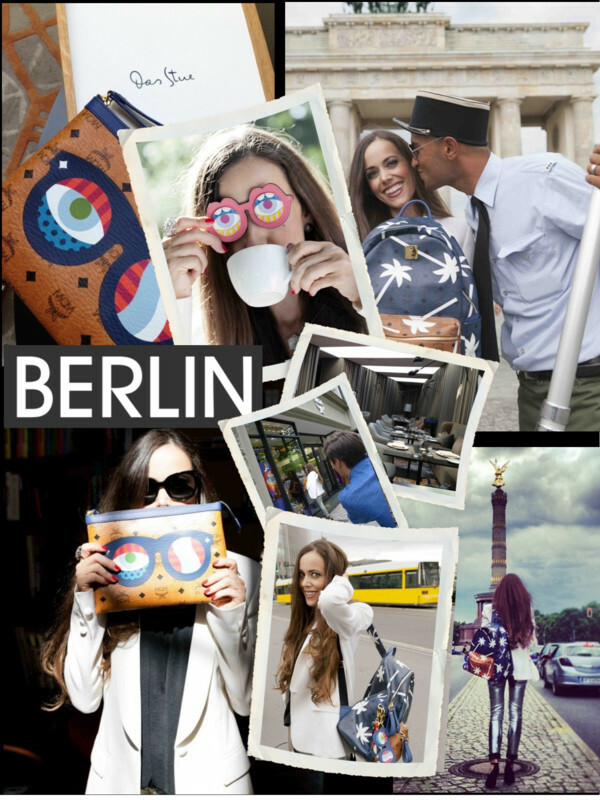 Berlin has its very own style and is a cultural hotspot. It’s a small New York. HOTEL AM STEINPLATZ – A beautiful boutique hotel with lovely individually designed rooms in a contemporary style. Always a nice destination to go for a drink at the bar or just have a relaxing spa day. 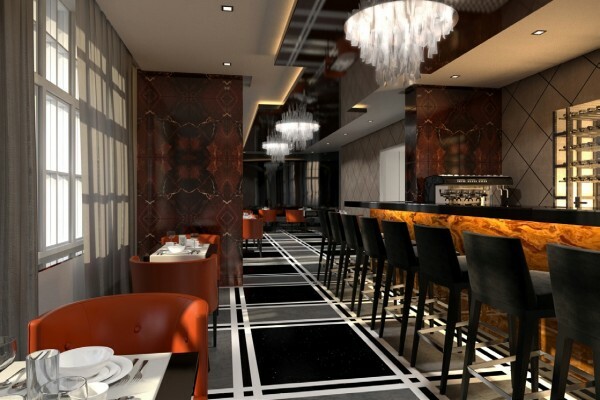 DUDU31 – It’s a new cool, fashionable, trendy place with one of the best sushis in town (photo above). 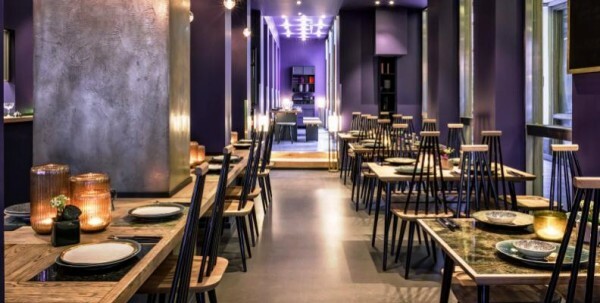 DOKMAI – Traditional, puristic, cosy – the best Thai restaurant in Berlin. 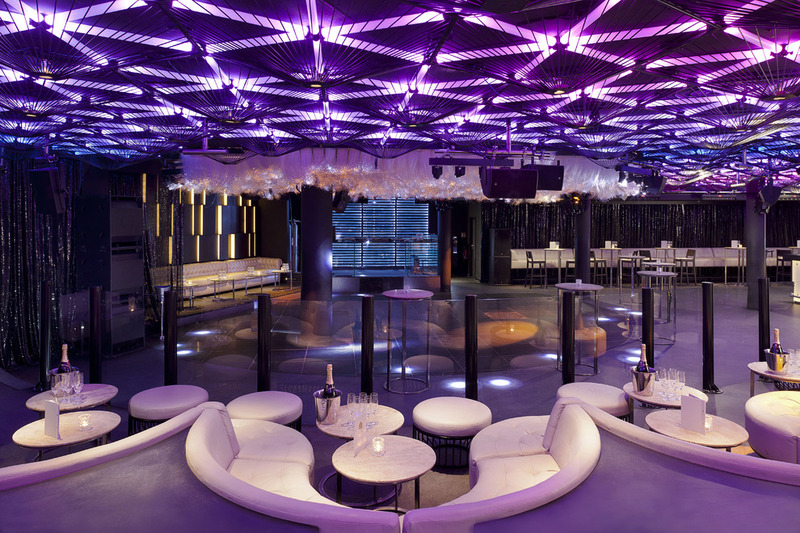 THE PEARL – Another hotspot in Berlin and the place to be if you want to party and have a great time with friends and just want to dance (photo above). 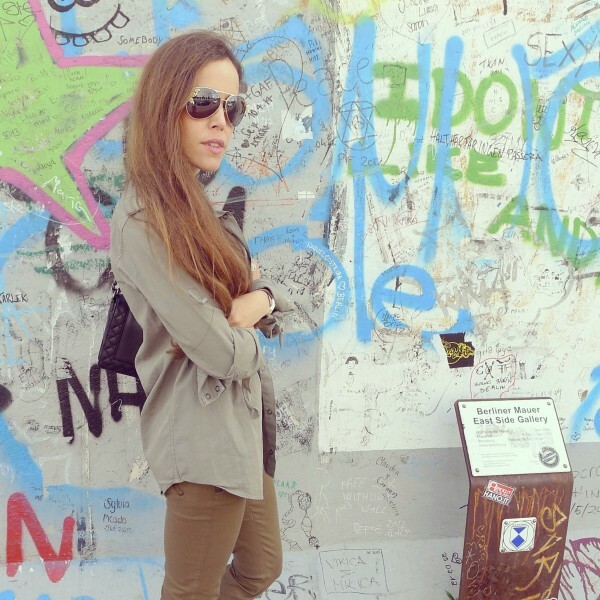 BERGHAIN – Everybody who comes to Berlin has once to go to the iconic Berghain. It’s the ultimate place in the city. You will never find something like this anywhere else. A must- experience… a place where you can party 24/7. 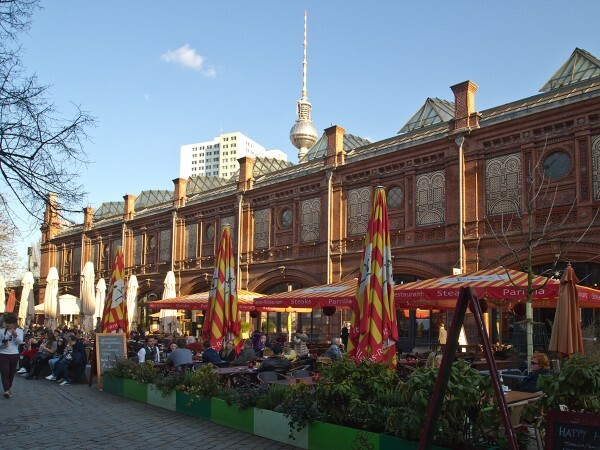 HACKESCHER MARKT – Small shops, unique items, young Berlin labels, famous designers, cafés and restaurants, you have everything you need for a fun day at this shopping hotspot. TIERGARTEN – The miniature version of Central Park with small lakes. I love walking through this beautiful area with my dog, visiting a biergarten or renting a pedal boot and discover small areas of the park you can’t find by foot. 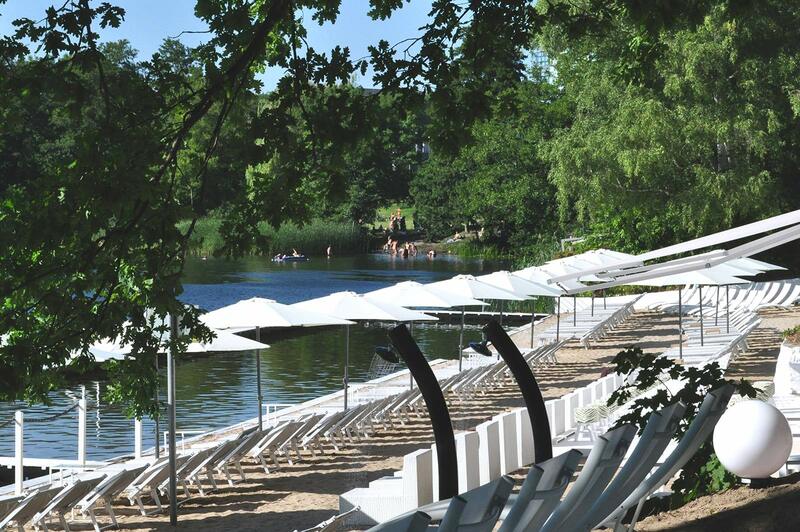 CAPPUCCINO KU’DAMM BEACH – Berlin doesn’t have a real beach, except for example Wannsee. But the Ku’damm Beach is a great combination of restaurant, bar and beach at Halensee at the end of the Kurfürstendamm. 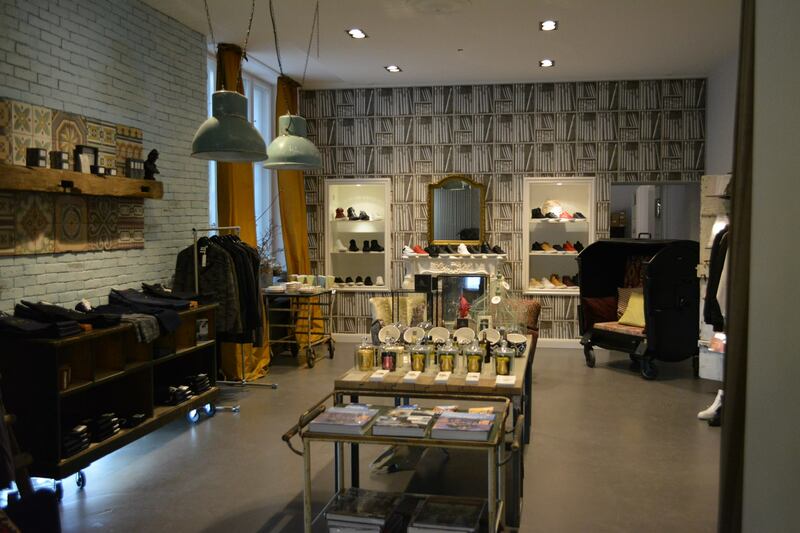 MIENTUS – Great concept store, that sells international labels. SHIZARU – The best place to find extraordinary and rare outfits (photo above). ROLEX WATCH IN GOLD – A luxurious statement, a true status symbol. 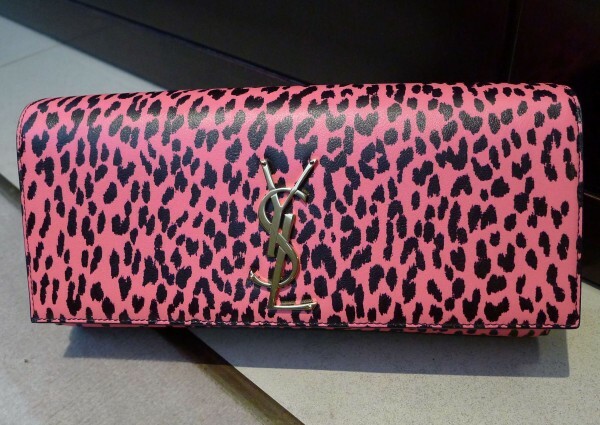 A must-have that adds a chic contrast to my tattooed skin. 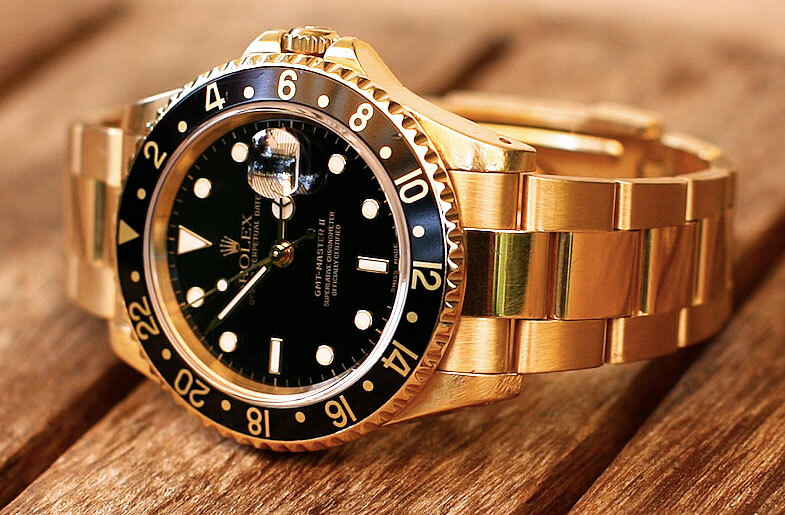 Elegant and cool in one. 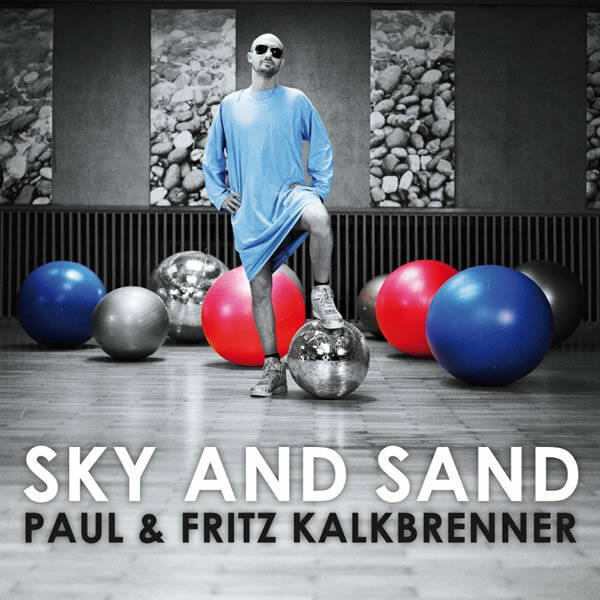 «SKY & SAND» by PAUL & FRITZ KALKBRENNER – The song is from the movie «Berlin Calling» and is a hymn to Berlin and its flair. 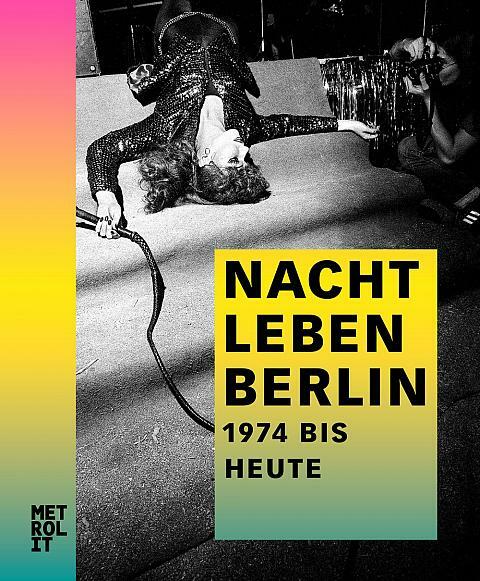 «NACHT LEBEN BERLIN 1974 BIS HEUTE» by WOLFGANG FARKAS – A great book to get to know the different facets of Berlin’s nightlife. 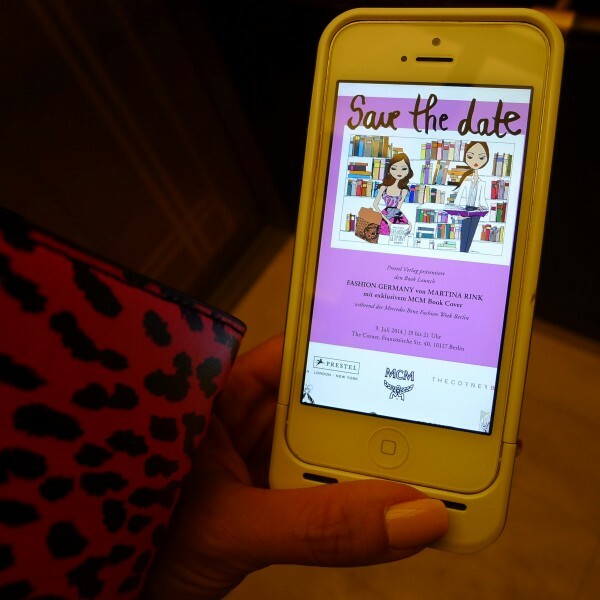 It’s amazing to see how many locations have been trendy over many years. 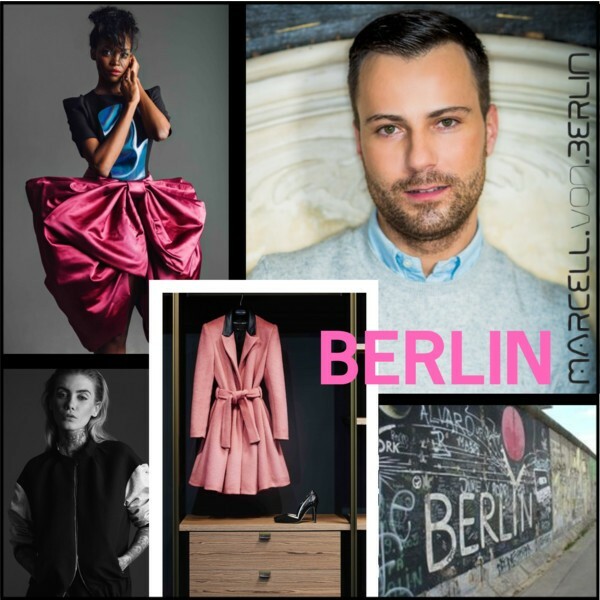 Thank you, Marcell, for sharing your insider scoop on Berlin with us. 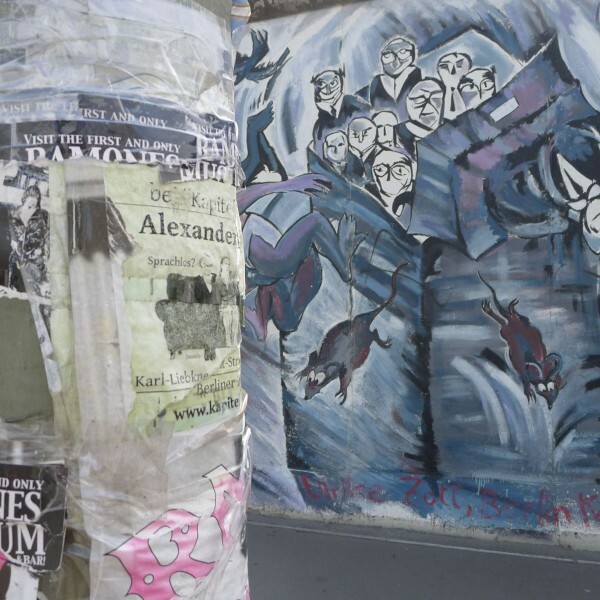 Today’s photos were taken at the East Side Gallery in Berlin, Germany. 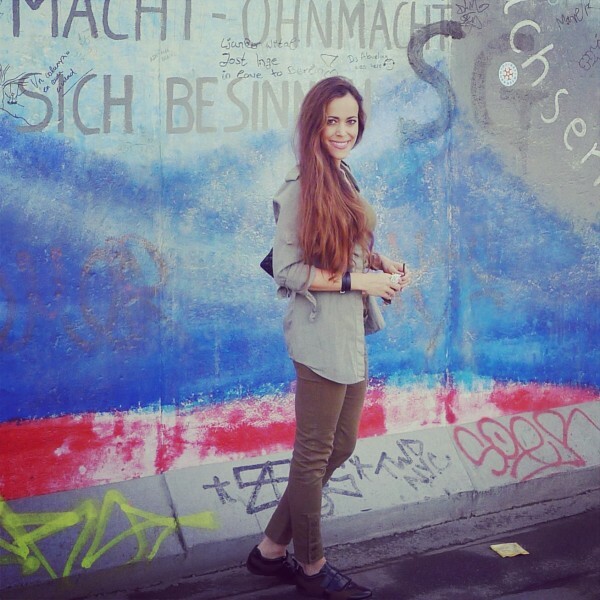 The probably largest and longest-lasting open air gallery in the world is actually an international memorial for freedom. 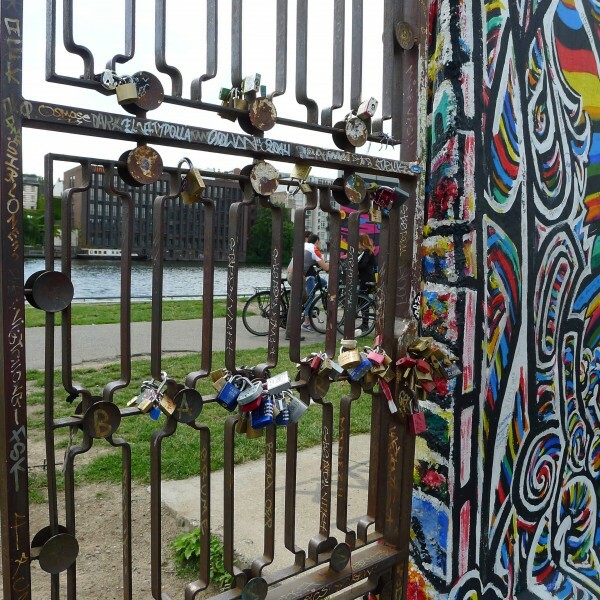 With 1.3 km, it is the longest remaining part of the Berlin Wall, located near the city centre on Muehlenstraße in Friedrichshain-Kreuzberg, next to the river Spree. 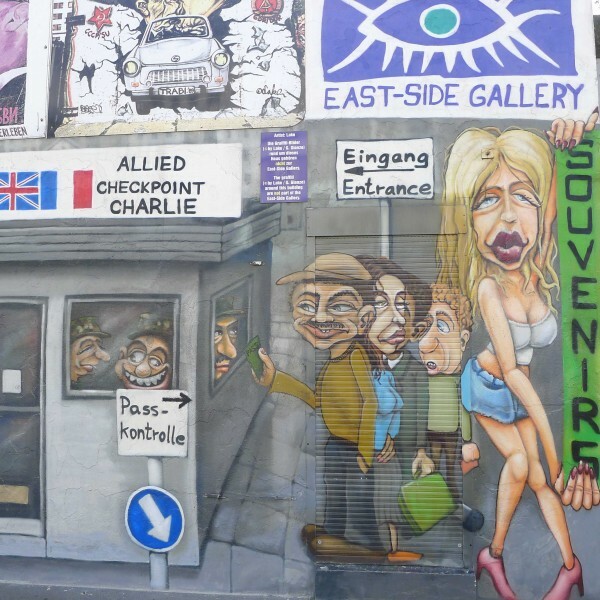 The East Side Gallery consists of 105 paintings by artists from all over the world, painted in 1990 on the east side of the Berlin Wall. 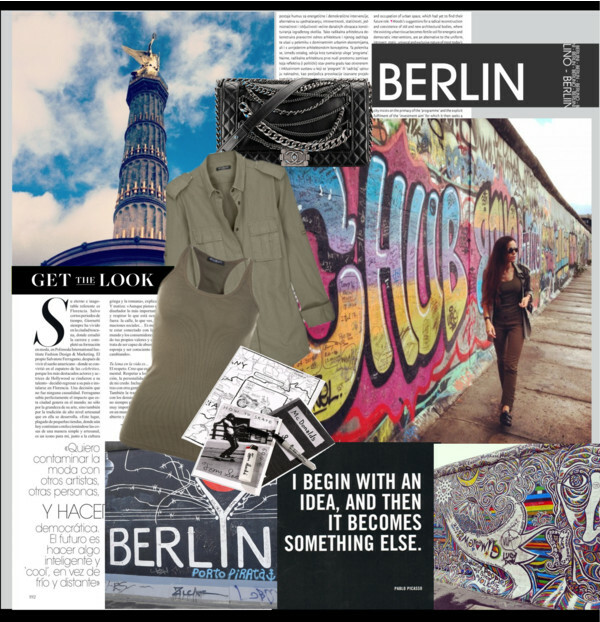 Inspired by yesterday’s post about Rihanna who’s sporting the military trend for our September 2014 cover of L’OFFICIEL Schweiz/Suisse, here is a gun salute to the revival of military chic fashion this fall. 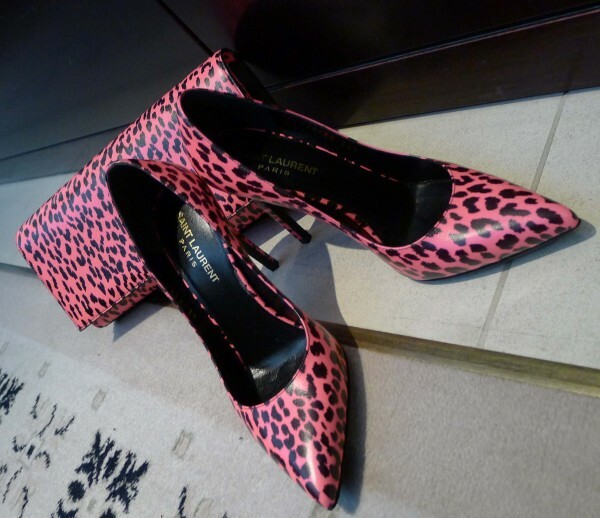 Therefore I went through my closet to look for my S/S 2010 Balmain pieces – the season when it had been up-to-date the last time. My look: Military shirt and khaki tank top, both by Balmain (from the S/S 2010 collection, for the new F/W 2014 pieces, please click HERE), pants by Alexander McQueen (similar ones HERE), sneakers by Prada Sport, Hapi leather bracelet by Hermès, Limelight Gala watch and rose diamond ring by Piaget, sunglasses by Valentino and Boy Bag with chains by Chanel. 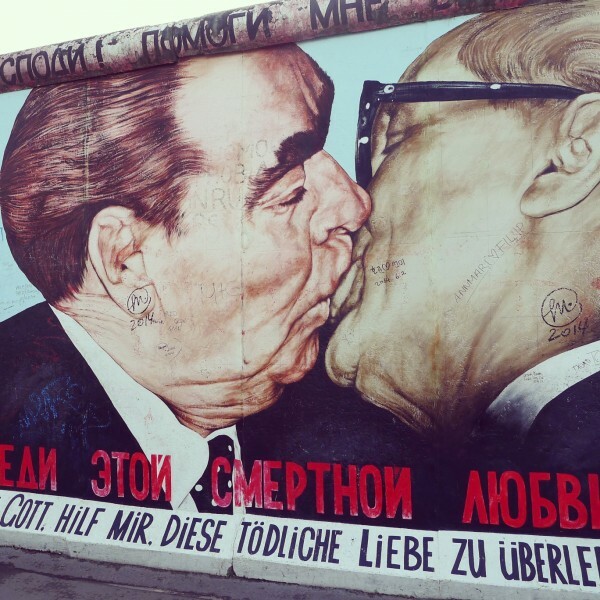 One of the most impressive paintings at the East Side Gallery: Leonid Brezhnev and Erich Honecker kissing by Dmitri Vrubel. 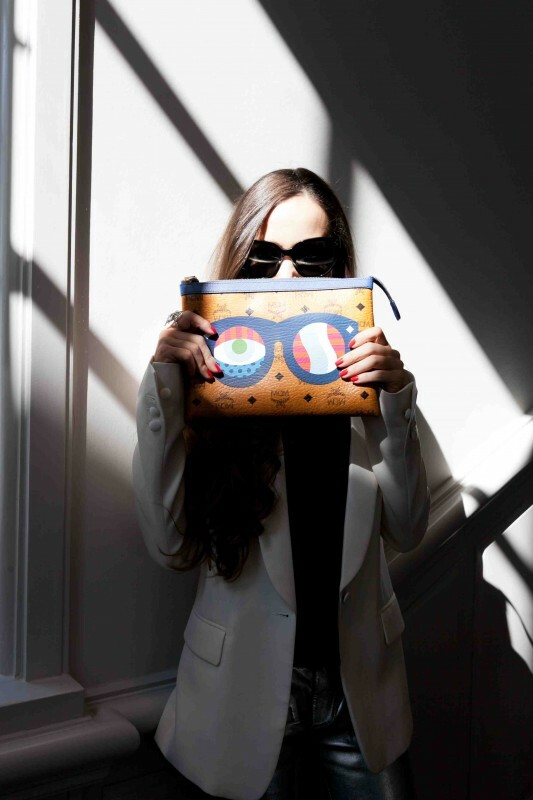 Between my recent trips to China and Iceland, I flew for one day to Berlin to shoot MCM‘ s amazing new collaboration with Craig & Karl: EYES ON THE HORIZON. 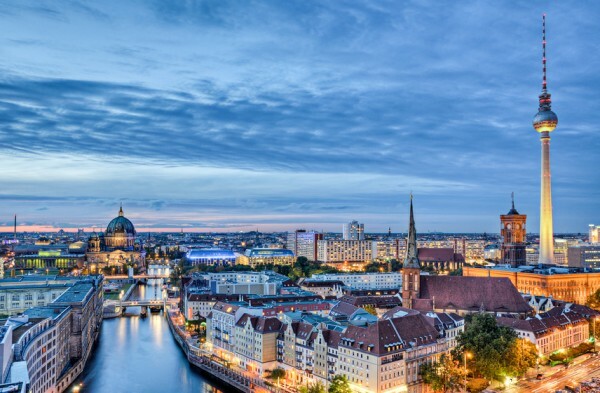 I love the German capital (and that is not only because I was born in this country), it’s one of the most vibrant, energetic cities in Europe. It’s the combination of two facts that can be felt everywhere: its present anything-goes-and-anything’s-possible vibe and its somber past. Known locally as the Ku’damm, one of the most famous avenues in the city is home to many shops, such as the MCM boutique, hotels and restaurants. It’s often considered the Champs-Élysées of Berlin. 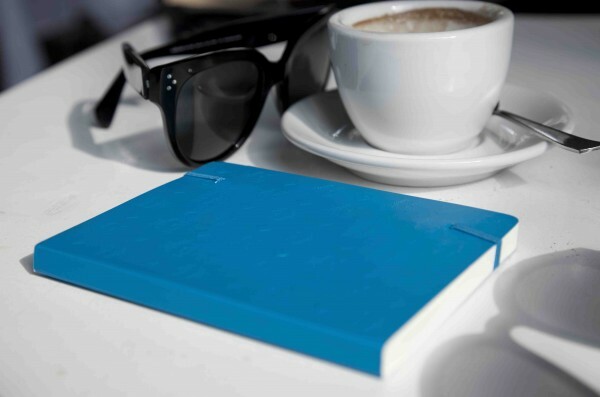 Located right next to the Tiergarten (central park of Berlin), the stylish design hotel Das Stue offers all the comforts of a quiet urban refuge within the heart of Berlin. Christoph and I had a fabulous lunch at this fun place outside in the garden area with waiter service (there is also a self-service beer garden part directly by the lake) and planned the rest of our shoot. I had a piece of very yummy cheesecake (German cheesecake is the best) that went so fast I forgot to take a picture. 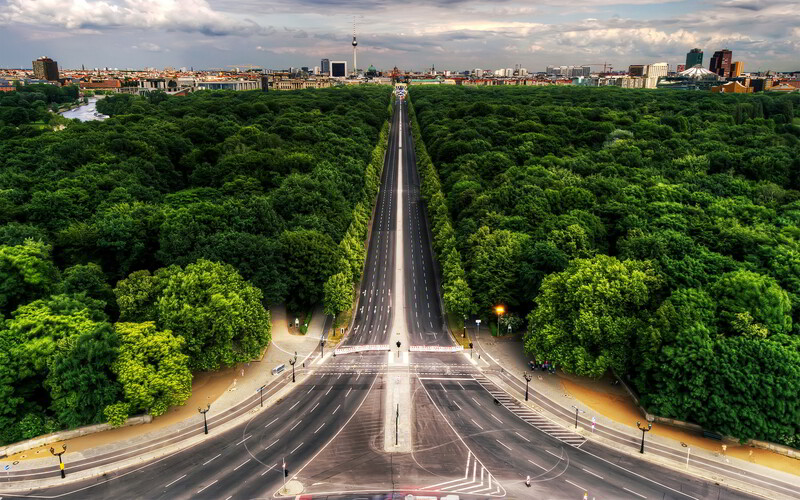 Berlin’s “Victory Column” is a famous monument and probably one of the best known symbols of the city. The “Golden Lizzie,” as it is known in local slang, was originally built around 1864 to celebrate Prussia’s victory in the German-Danish war. 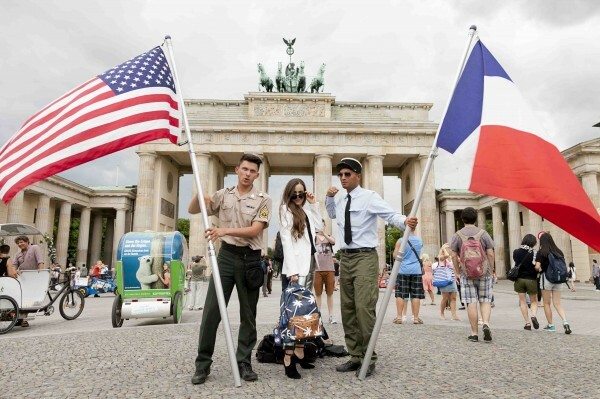 Located at the heart of Berlin, the Brandenburg Gate is standing at the western end of the avenue Unter den Linden. 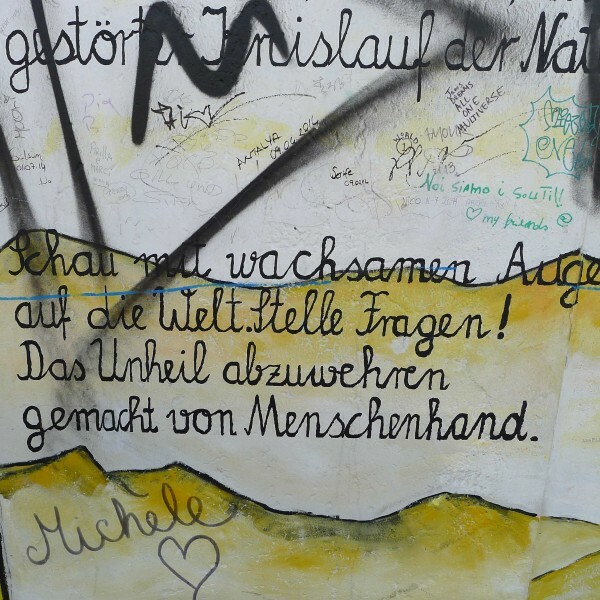 It has been a symbol for both, the divided Cold War city and the country’s reunification. Today, it is one of the metropole’s most-visited landmarks. Before I flew back to Zurich, we went to Grill Royal for drinks. 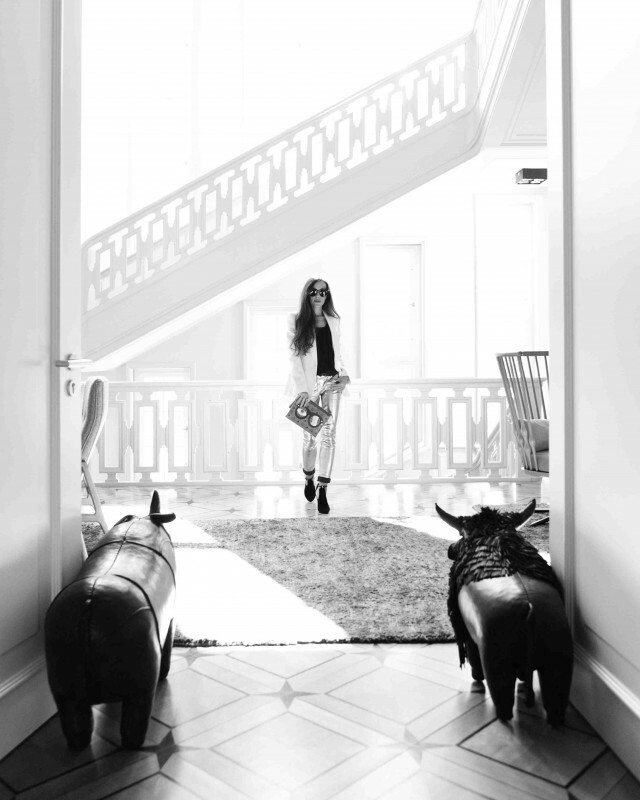 This see-and-be-seen restaurant is still, after opening a couple of years ago, the place-to-dine and very popular with the celebrity crowd. Below you see me before the entrance on Friedrichstrasse. My look: Ivory blazer, cropped metallic leather motocross pants, both by Balmain, black top by Tom Ford, Audrey wayfarer sunglasses by Céline, shoes by Gucci, key ring, clutch and backpack, all from the MCM x Craig & Karl Eyes on the Horizon collection. Rose necklace and ring, both by Piaget.